Tracey CostescuCommission Portraits & Original Artwork: Merry Christmas! Want to know the best gift ever, Rosemary Brushes! I purchased these awhile ago and I love them. These are the long Ivory Flats from Rosemary & Co The only complaint I have with them is that I wish I had bought more! 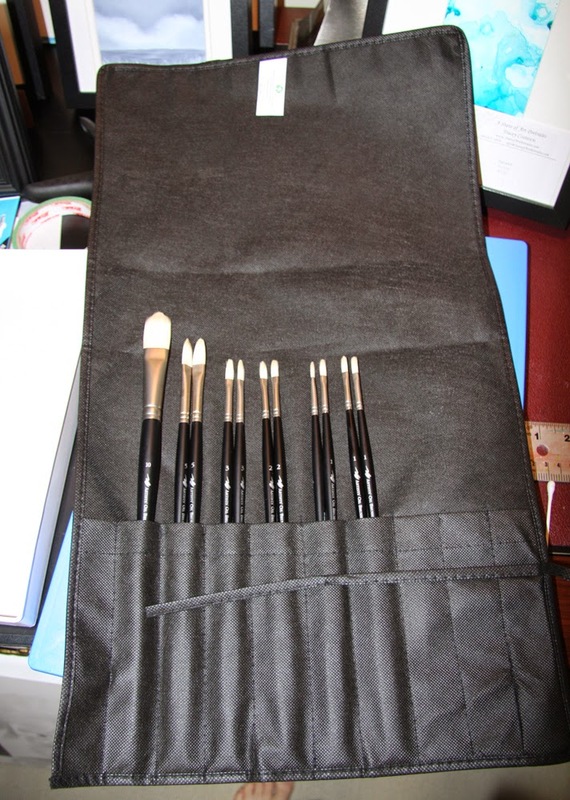 So, seeing as it is Christmas and all, I have ordered more brushes and I can hardly wait for them to arrive! I got hooked on these brushes at a plein air workshop I took during the summer taught by Michael King & Lalita Hamill. I had brought several brushes and was not happy with them as they were too soft for plein air painting. Michael casually dangled his Rosemary Brushes in front of my nose..."do you want to try them?" he said every so casually. I had heard about these brushes from several artists over the years and was afraid to try them as of course if they last forever and come from the UK they must cost a fortune. What if I get hooked!!?!? I wavered....maybe just one...well, the damage was done, I was hooked. Luckily they are not at all unreasonably priced and the shipping was very reasonable and duty was negligible. I have been painting off & on with these brushes through several sketches and paintings and they are no worse for wear and handle beautifully. They may not make my paintings any better, but they sure make painting more fun! I hope Santa slides some of these, or really any art supplies, into your stocking as well. Merry Christmas & Happy New Year everyone.